There are two basic methods of Soapmaking, Cold Process and Melt & Pour. Most beginners consider Cold Process Soaps intimidating or even a little scary. This is mainly due to the necessary use of Lye to make this Soap Base. Lye, also known as sodium hydroxide is caustic, especially when exposed to water. If it gets on the skin, it can cause severe burns and scarring of the flesh. Very scary indeed, but also preventable with basic precautions. If you are willing to make an effort to prepare your work space and yourself, Cold Process Soapmaking can be a safe and even fun process. Melt & Pour Soap has had the Lye neutralized and is ready to use, as is if you wish. Most times you will take that Soap Base, heat it until melted so you can add Fragrance, Color and any other additives before you pour it into a mold. You soap is virtually ready to use once it has cooled enough for you to unmold it (tho it will be better left to harden and dry for a couple days). Each soapmaking technique has advantages and drawbacks. Melt and pour soap can be poured into a mold within an hour of starting the process. Cold process can have a small window of time in which it is workable enough to add your ingredients and pour into a mold without it cooling and seizing. Fragrance plays a key roll in each soap making method, however it can behave differently for either one. Most fragrances will not misbehave in melt and pour soap. However, the same cannot be said for cold process soap. Certain fragrances can cause undesirable reactions in the soap. For example a fragrance can cause the soap to seize, accelete, or discolor. All of those terms will be explained in another post. That is why it is very important to test your chosen fragrance in small batches before making a big batch. 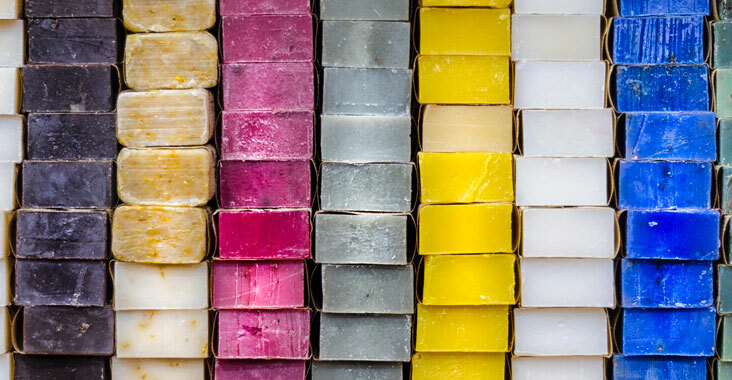 When planning on making soap the old-fashioned way, you will need distilled water, oils, butters, sodium hydroxide,and fragrance or essential oil. You will also need extra protective gear such as gloves, long sleeves, splash proof goggles, and a face mask. For melt and pour soap, all you really need are gloves. No extra protection is needed, just remember you will be working with very hot soap. The hot will be liquid and very easy to spill, so be careful when using melt and pour soap bases. There is no correct answer, it is up to you as the creator to choose which method you prefer. Sure cold process can be intimidating, but once you actually do it and are comfortable with the process, it is no longer a big scary deal. Melt and pour may be simple, however there are effects you can’t achieve with this base that you could with cold processed. And if you like both methods, you can incorporate melt and pour as embeds or toppers in cold process soap.